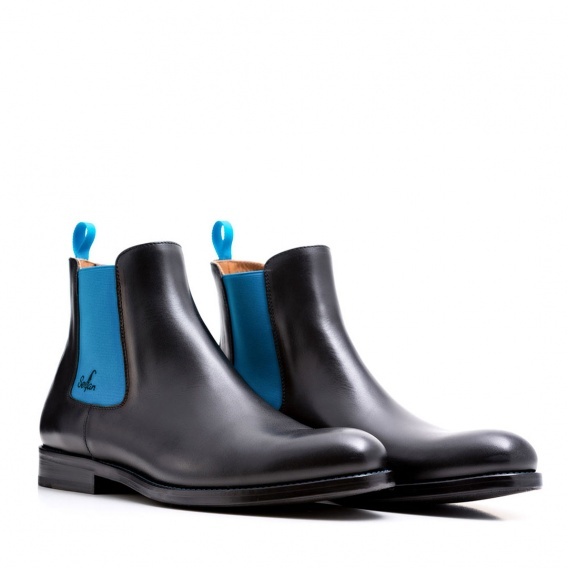 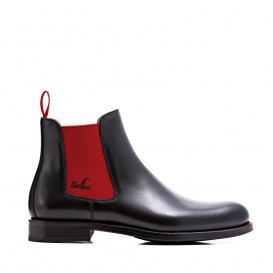 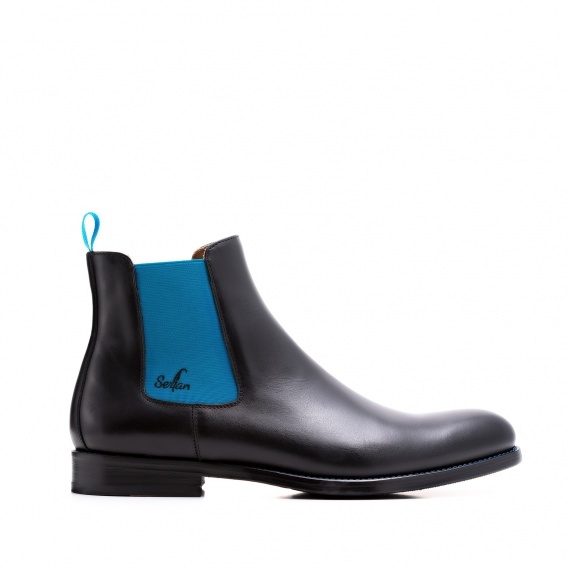 The black Chelsea Boot appears simple and reserved with its dark and basic color. 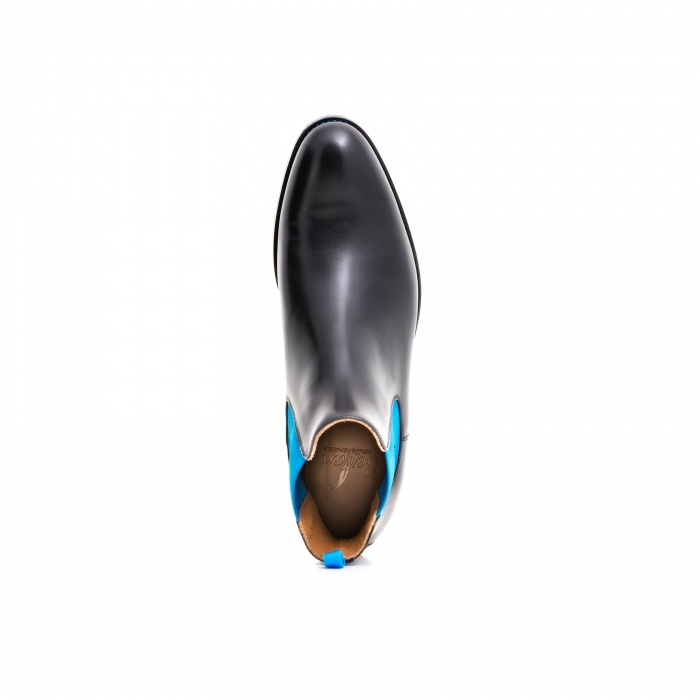 The spandex inserts in blue are harmonious with the black full-calf leather. 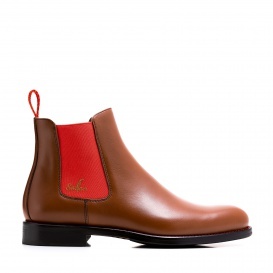 This boot guarantees you a comfortable and relaxed wearing experience. 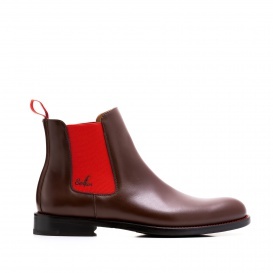 In combination with a black skinny jeans and an oversized sweater you have a perfect stylish outfit. 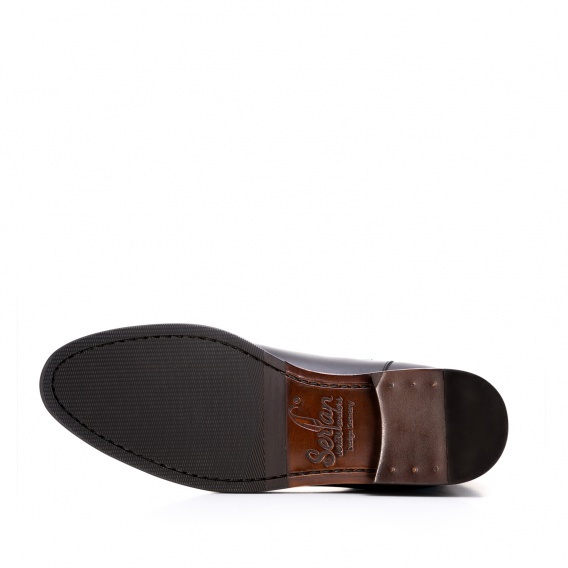 This Boot is, due to the rubber inserts on both sides and the soft leather, very comfortable to wear.